GOSFORD, Australia — Usain Bolt has a few more months to prove his soccer prowess in Australia. 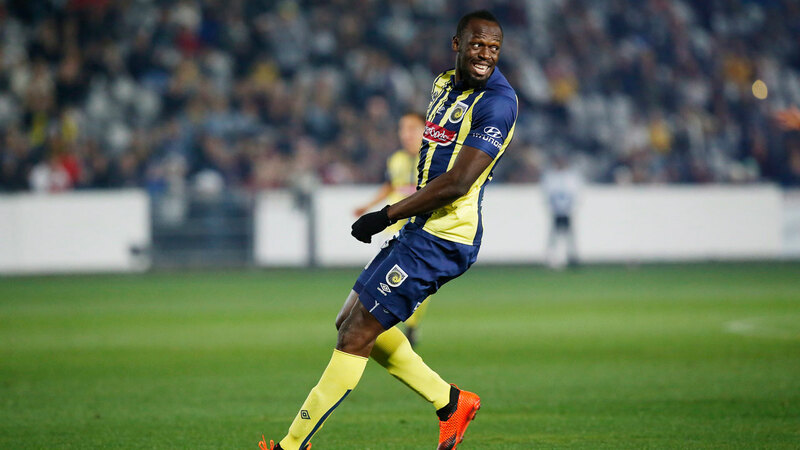 Central Coast Mariners coach Mike Mulvey said Thursday that he will wait until January before assessing the progress of eight-time Olympic gold medallist sprinter Bolt, who’s set to play in his next pre-season match for the Mariners in mid-October. Bolt, who hopes to earn an A-League contract with the team based north of Sydney, will likely play Oct. 12 against Sydney league side Macarthur South West United. The Mariners begin the regular season on Oct. 21 in Brisbane against the Roar. "If I get to start it will be a big thing for me," Bolt said. "It shows that the work that I’ve been putting in since I’ve been here is really paying off and the coach has confidence in me and he sees the improvement and the work I’ve been putting in." Bolt saw his first action for the Mariners on Aug. 31, playing 20 minutes against a Central Coast selection side. He played the entire second half against the North Shore Mariners on Sept. 19, when he again alternated between left wing and striker. Mulvey said Thursday that Bolt was progressing. "In the initial dispatches talked about he needed time, I said at the time we will give him 12 months if need be," Mulvey said. "But I think a reasonable assumption would be around about Christmas time, January, we should be really judging on whether he’s really improved or not improved. He’s slowly getting there."